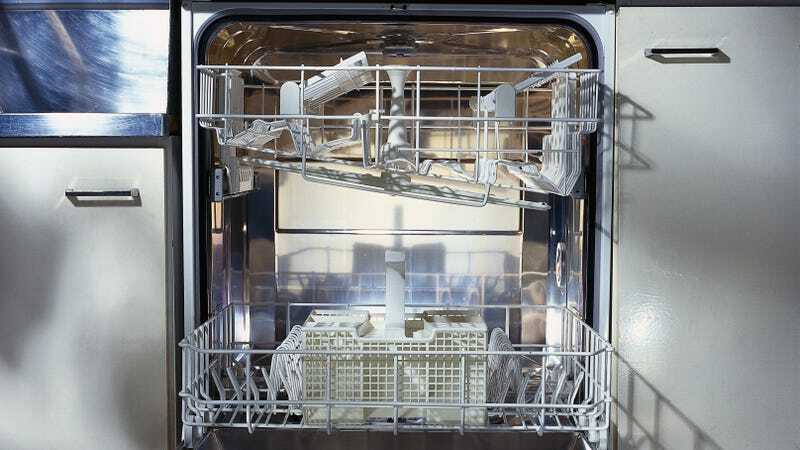 You know those people who know how to load the dishwasher perfectly? I am not one of those people. Sometimes on group beach vacations, I have spied people rearranging my initial attempts to load the dishwasher. I should probably have asked what I’m doing wrong, but I was too embarrassed. And I have indeed woken up to the horror of a broken glass waiting for me in the bottom of the appliance. So I noted with interest this recent list on Reviewed of 10 mistakes everyone makes with their dishwasher, certain I was making all of them. Turns out, I was in fact making quite a few. For example, I am a chronic pre-washer, even though leaving a little dirt on the plates makes the dishwasher works better (this seems counterintuitive to me, but I will have to give this a try). Don’t spoon the spoons together, because there’s no way for the water jets to get between them. Overloading is a definite no. But the big takeaway I got from Reviewed’s list is “The cardinal rule of loading the dishwasher—don’t block the water jets,” so put the big stuff on the sides. This started me down a bit of a dishwasher wormhole: What else could the internet teach me about my lousy dish-cleaning habits? Unsurprisingly, Good Housekeeping had a quick list, like loading plates so that the dirty side faces the water spray, and making sure wine glasses don’t touch each other or the top of the dishwasher (hence those broken glasses). Intrigued, I moved on to Real Simple, which advised putting large plates behind small plates, facing the spray, and perhaps my favorite—placing forks with forks, and knives with knives in separate baskets to make unloading easier. Kitchn suggested running a cycle with vinegar to clean out the machine, and to remember that those different cycles are there for a reason (I’m guilty, there, too). It also pointed out that you should run the hot water quickly before turning the dishwasher on so that the sprays are heated from the start. All in all, I feel much more dishwasher empowered than I did before my research. I’m ready to wow my friends with my dishwasher acumen at this year’s group beach vacation. But just in case I’m still missing something, please feel free to add your favorite dishwashing tips below. I clearly can use all the help I can get.